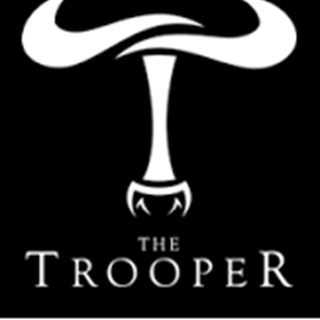 Seasonality and local produce are at the heart of The Trooper. We go to great lengths to seek out and work with the best suppliers. Wherever possible we use British growers or farmers. We strive to always work with companies that share our vision and passion for great produce. Our longhorn steaks are reared on Huntsham Farm in the beautiful Wye Valley. Huntsham Longhorn beef has been produced for over 200 years and is hung for a minimum 35 days. This ensures the fine grained, well marbled meat reaches its ideal maturity and full flavour potential. Our chefs have tailored our menu to give you a great selection of different dishes. From succulent chargrilled steaks, market fresh fish and homemade burgers. We are also more than happy to cater for any special dietary requirements here at The Trooper. Join us for a drink in the bar. Choose from our great selection of ales, carefully selected wines and spirits and take a seat in the warm surroundings next to our open fireplace. When the weathers on our side you can take it outside and enjoy the outdoor lounge area, great for relaxing with friends and a sharing plate. We also offer full table service on the terrace so you can enjoy a full restaurant meal in the luxury of the sun and great views! Were all about quality, great steaks, great wines, great service and great times! We love traditional roast dinners with friends, family and proper produce. Why not try our sharing table where you can enjoy a whole roast joint with all the traditional trimmings with your family and friends. Please ask for details. Great food, great atmosphere, perfect for our birthday celebrations. We were really impressed by the friendliness of your staff. Service was very quick and staff were lovely. Bottomless lunch was really good value for money! Only downside was the large party who were very loud and rowdy throughout our meal and meant our bottomless drinks were sometimes delayed in being bought to our table but that was no fault of the restaurant. Great food in lovely location. Was a little quiet but early weekday evening so perhaps expected. Always love eating at The Trouper. Great food and very attentive staff. The bottomless lunch is amazing value! It was my leaving do so I wanted a special evening. We ended up at the Trooper by default as their sister restaurant, the winehouse, messed up our large booking ( there was 19 of us) so we didn’t know what to expect! We had the all you can drink prosecco  brunch. Nathan the manager looked after us and made sure everything went to plan! Popping down to check we had had a good evening. The food was lovely and prompt. A pre- order a few days in advance would have made it even more efficient. The service was great with the staff making sure the prosecco and cocktails flowed. The venue itself is trendy and spacious with a short cab ride into lichfield. Ideal! I would definitely go back again. We had a surprise celebration for our friends 65th Birthday. The staff were amazing and the food was excellent. The waiters were so friendly and we had a lot of banter which was all good fun. They made the day even more special. Many thanks to all. Great service, food and conversation. Probably the best restaurant in the 10 mile radius. Fabulous food. Service slow, but had an enjoyable evening never the less! 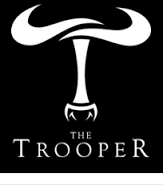 Great service provided by really nice staff always makes the Trooper a good night out even on a very busy Saturday. Bottomless Brunch was lovely! Everyone commented on the quality and taste of the food and the service was brilliant. Bubbles were topped up throughout and we never had to ask the waitress' to take our order, they were just there! Would definitely recommend. Table booked for 8pm yet not seated till 8;45pm and no explanation or heads up there was a delay. Chap apologised when he did seat us however I had to ask twice what was happening beforehand. I’ve been here 3 times and each time it feels as if you have too many bookings and not enough staff. Dinner finally served at 9:45pm ...too late. Took 25 minutes to place drinks order despite being only 3 steps away from the bar. Food was good fortunately but by the time dinner arrived I’d lost interest and my appetite. Visited on Mothers Day and although it was very busy, as expected, this didn't impact on the great service and food we received. Looking forward to visiting again. Phenomenal service, food was extraordinary a really top class afternoon for mother’s day. Was seated in a very loud bar area, I went with friends for my birthday but when the waitress can not even hear your order it’s too loud. I asked her if we could move and she returned saying there was no room to move to the main restaurant after asking her boss. After trying to have a conversation with my friends I decided enough was enough and this was not turning out to be an enjoyable evening, so I spoke to the manager who did thankfully move us, although I wish this had been done ealier when we had asked as clearly there was space to move. In future I shall make sure we are seated in the restaurant area. Thoroughly enjoyed Sunday lunch at The Trooper on Mother's Day. Friendly, attentive staff, and beautiful food. Couldn't fault anything!